Owatrol Oil | Natural Oils | Oils | Mediums, Binders & Glues | Kremer Pigments Inc.
Owatrol is a unique paint additive that improves finish and eases application for the professional painter and decorator, especially in difficult conditions. 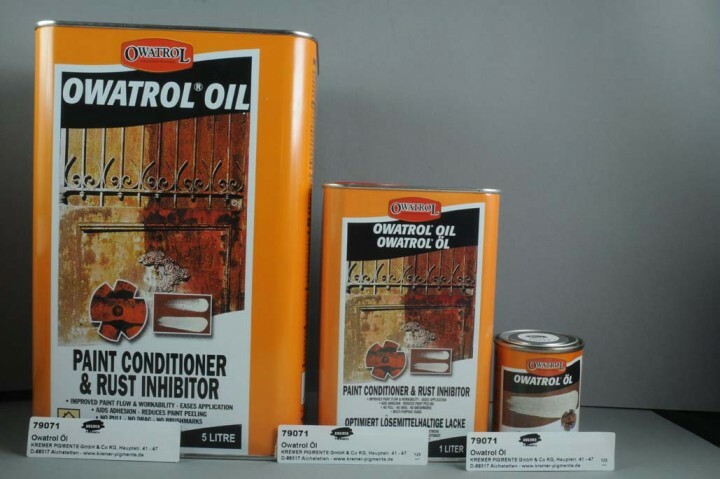 Owatrol added to any oil-based paint, varnishes or stains will reduce brush marks and improve coverage. Customer evaluation for "Owatrol Oil"